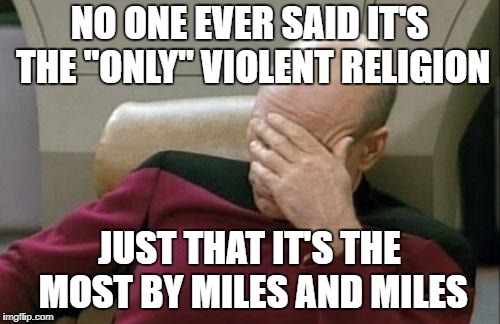 People seem to act like it's the only violent religion. The second box is the only one that's correct. Well Islam is no different than any other religion. Even I know this, and I'm not even a Muslim. 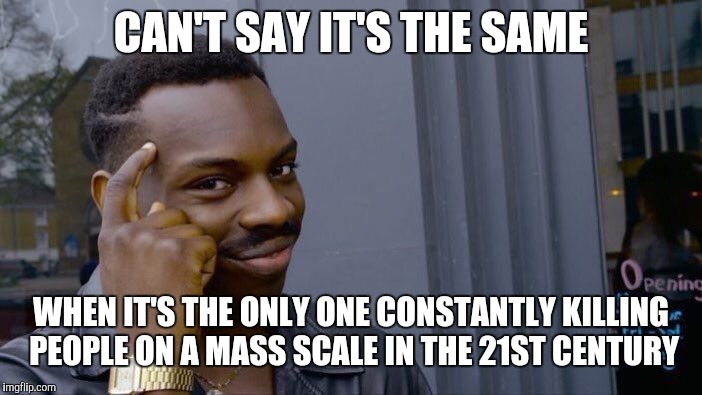 No it's not. Christian terrorists exist too. Islam is no different than any other religion. 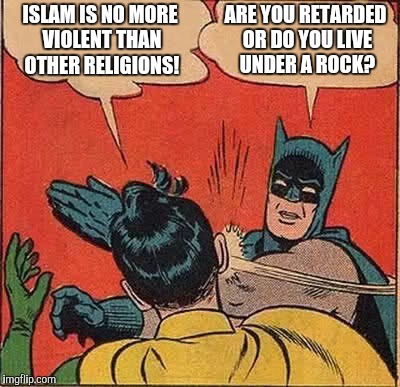 There are more violent religions than Islam. 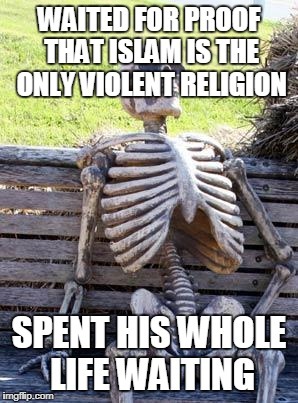 For the millionth time, Islam is not the only violent religion. 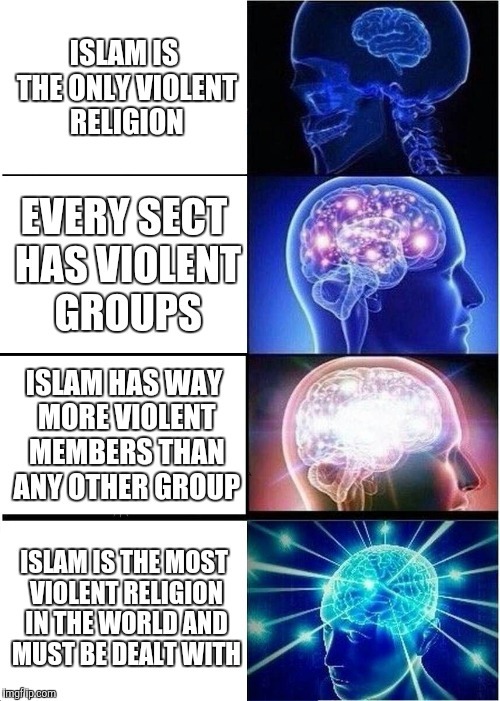 ALL religions are violent.